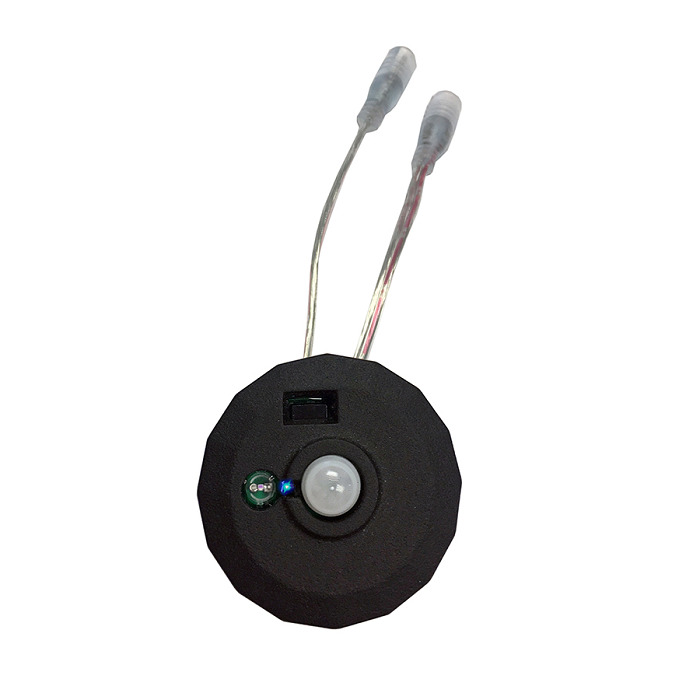 EZ MOTION CONTROLLER+ Timer, photocell, motion control all in one unit with remote control for manual operation or used to program the receiver. It’s an on/off switch. It’s a dimmer! It’s a timer! It’s a motion controller! It’s all in ONE Easy to Use Device. 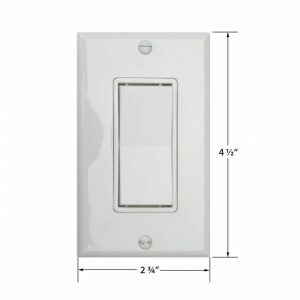 It’s the answer to turning your lights on and off; when you enter or exit a room; when you go up or down stairs; whether you’re inside or out. Set how bright you want the lights; set the duration they stay on; even the sensitivity. 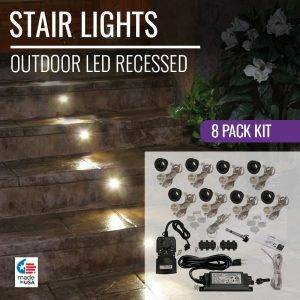 Connect your lights to the receiver(s) and use them at the top and bottom of stairs, beginning and end of hallways, entrances and exits of rooms, closets, cabinets, anywhere you want to have lights turn on or off based on movement or light. 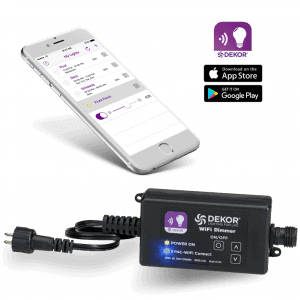 With the DEKOR® EZ Motion Control+ you now have total control your lights. 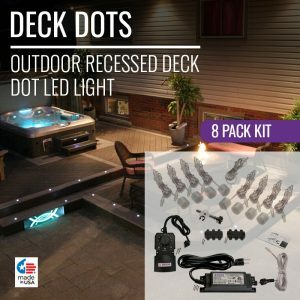 The EZ Motion Controller+ is completely programmable; has a 360º PIR (Passive Infrared) lens motion sensor, an ambient light sensor for greater light sensitivity than a traditional photocell, and is completely waterproof (IP67). All that in a small ½” x 1 ¾” diameter, powder coated, antique metal black*, aluminum case. 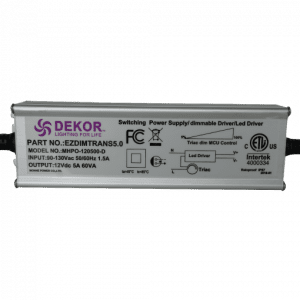 You no longer need a separate photocell, dimmer or motion controller because the EZ Motion Controller+ can replace all three. 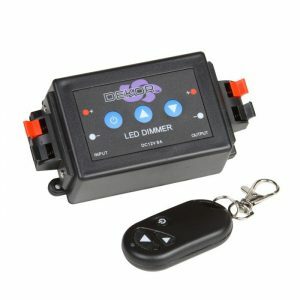 With this one device you can program the length of time you want your lights to be on, set the sensitivity of the motion control, program how bright you want your light to be; all with one device. The EZ Motion Controller+ comes with a hand-held remote transmitter that allows you to operate the receiver manually; turn light on and off, set brightness; or you can use the remote to set programming, set up zones, set day/light sensitivity and motion sensitivity. 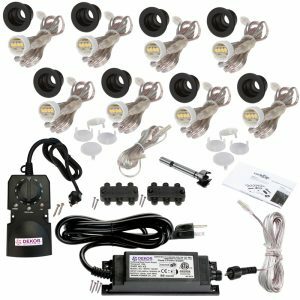 So whether you are using a single receiver or multiple receivers, you can set your lights to go on and off any way you want them to. You can program up to 9 zones. 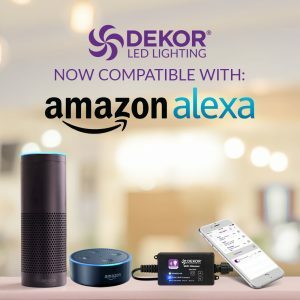 With the DEKOR® EZ Motion Control+ you can set the sensitivity of the PIR so that your pets won’t set off the lights or you can set the sensitivity so they can. 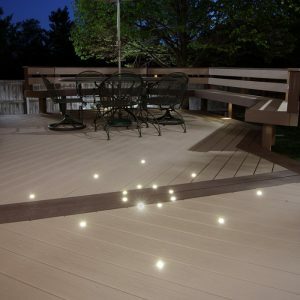 Add an element of safety to your outdoor lighting by having the lights turn on if someone comes into your yard. Save on energy bill by having your lights stay on only when there’s movement or when it’s dark. You take control of how your light operates inside and outside of your property with the EZ Motion Controller+. The EZ Motion Controller+ can be used inside or out because it’s completely watertight. 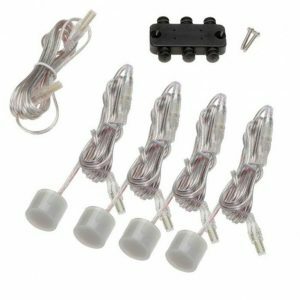 Available as a set or sold separately, you can start with a single receiver and add PIR receivers (max 9 Zones) as you need them or design a complete automated light controlled environment for your living space. If you have any questions on how the EZ Motion Controller+ works or how to determine how many receivers you need, just give DEKOR® customer care a call at 1-800-258-0344. 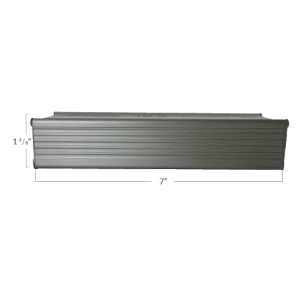 *For other color options please contact Customer Care to special order at 1-800-258-0344. The EZMOTIONCONTROLLER+ receiver comes with two screws for you to attach receiver where you’d like. 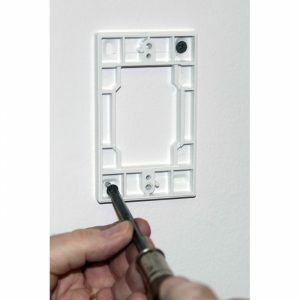 You must connect the receiver to power from the transformer and then the lights to the receiver. 1 Year Warranty When Used Exclusively With DEKOR® Transformers. Warranty void when used with any other brand of transformer. 30 Year Warranty on Powder Coat Finish.